A long post today, with a lot of history, a little about the riding, and a few pictures. It’s hard to capture this part of Cambodia and Vietnam with just a few pictures. The last week of riding has been a little emotionally heavy at times, but we’re finally through Cambodia and on into Vietnam. 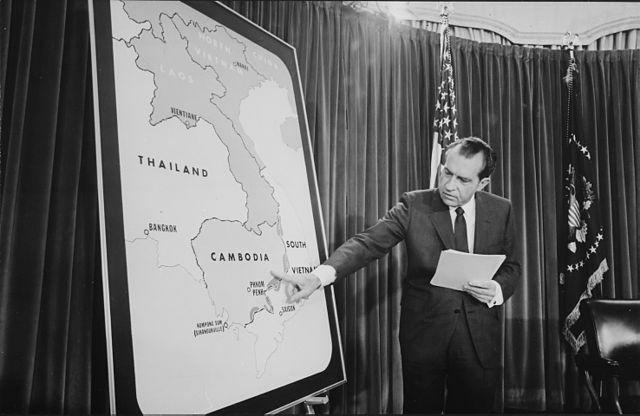 President Nixon shows you where we’ve been riding. Ratanakiri province is along the Eastern border of Cambodia with Vietnam. Its name comes from the Khmer and Sanskrit words for “gem mountain,” named for what the province is known for. 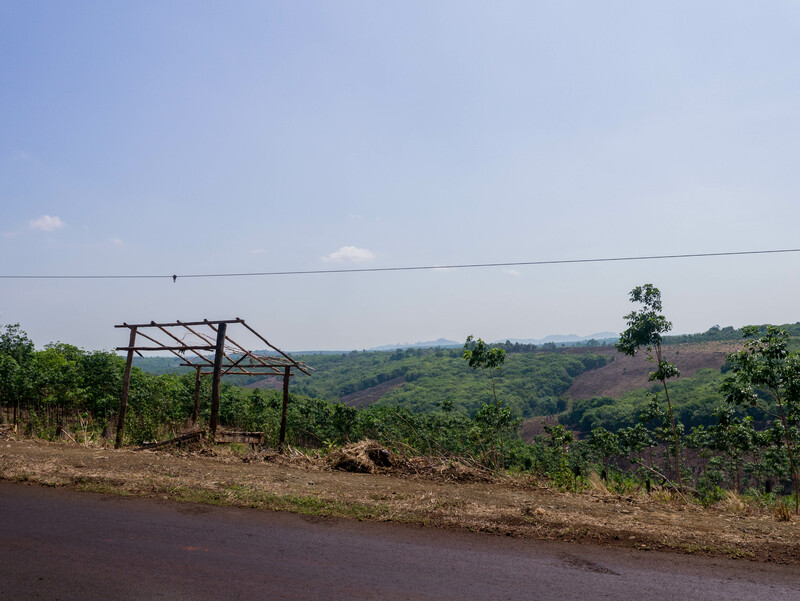 As we move closer to Vietnam, the rolling hills have grown larger, and many of the villages along the route contain gem mines. As we have moved East, towns and cities have grown more remote and isolated. I have never really been more aware of being “foreign” in a place than along this stretch. 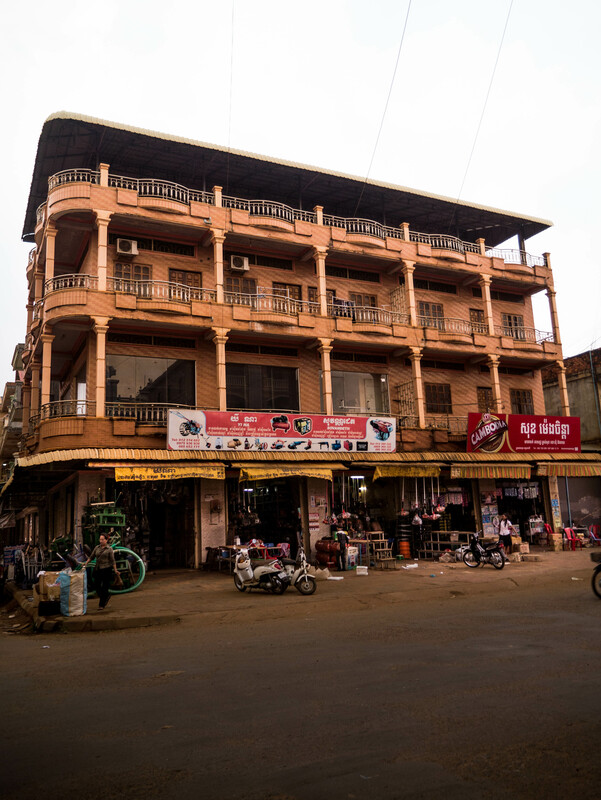 Ratanakiri is home to the minority group the Khmer Loeu, and contains just 1% of Cambodia’s population. Towns outside the provincial capital of Banlung are organized into vaguely communist communities of around 50 families engaged in subsistence agriculture. 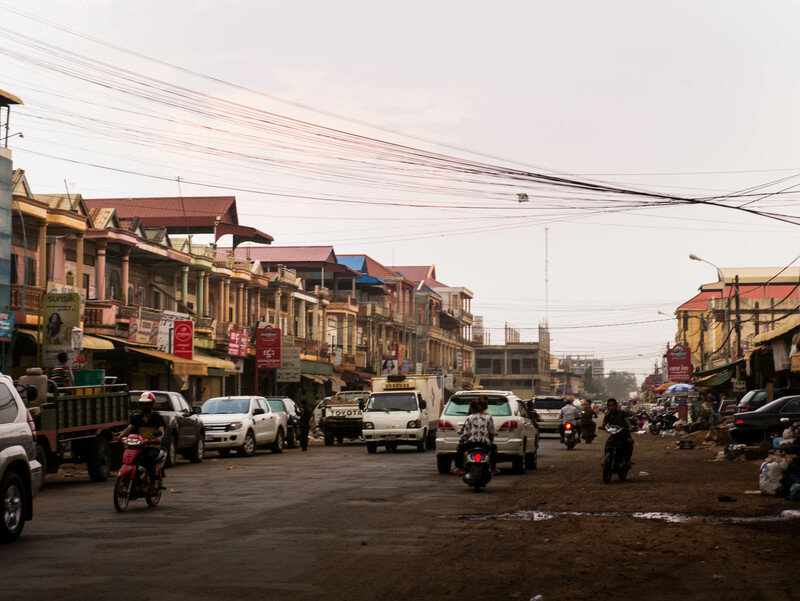 The province’s infrastructure, even though it has been massively improved over the last five years, remains the poorest in Cambodia. Almost one out of four children die before the age of five, and three quarters of the population is illiterate. Banlung. A nice town on the frontier. During the Vietnam War, the US got involved and started a covert bombing campaign to rid the province of the North Vietnamese communists, active in the region since the 1940’s. This forced villagers out of their towns to forage for food and live on the run with the Khmer Rouge. When the North Vietnamese defeated the Khmer Rouge in 1979 and took over full control of the province, policy towards the province became one of neglect, and the Khmer Rouge moved deeper into the jungle and hid away. These jungles. New rubber plantation in the foreground. 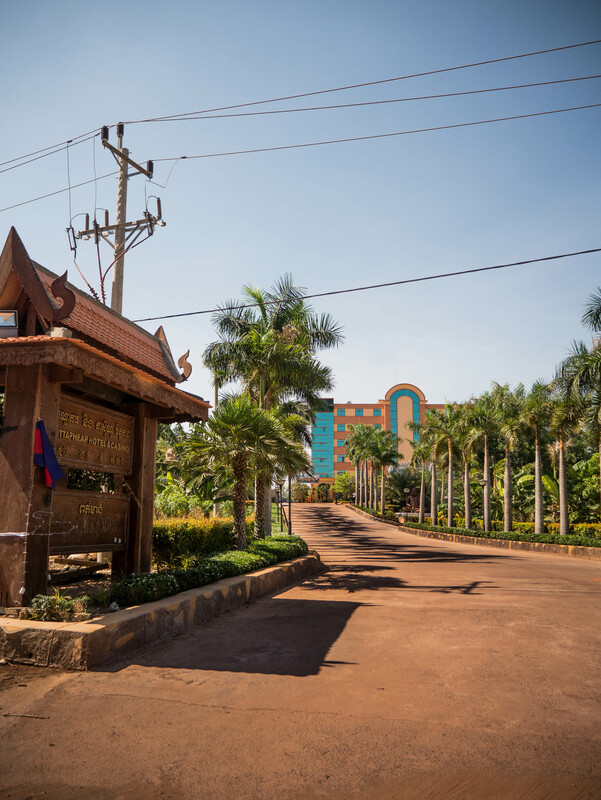 The Khmer Rouge was still active in the forests of Ratanakiri into the 1990’s, and sparse attacks continued along provincial roads until 2002. But over the last 15 years, Ratanakiri has started to rise from this nasty period of its history. 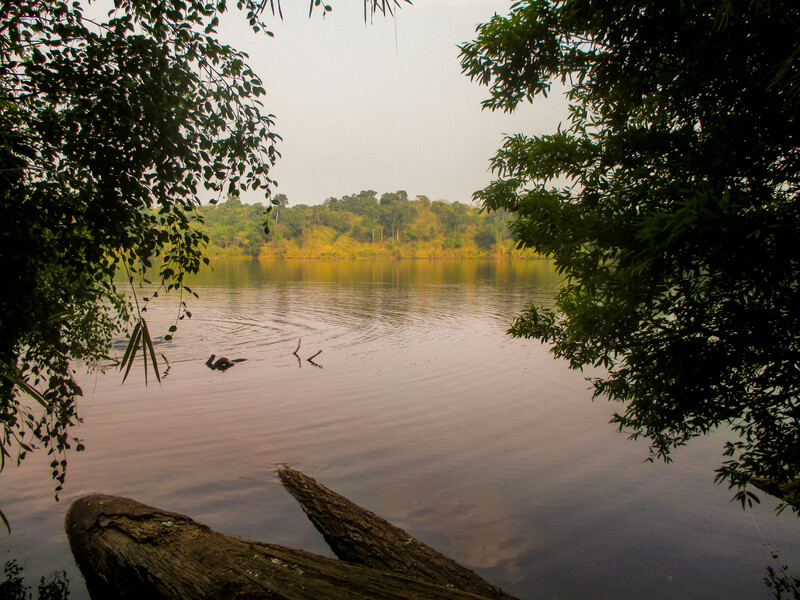 Political stability and infrastructure investments have increased land prices, and Banlung has started to be a base for tourism to various parks, lakes, and waterfalls in the region. More Banlung. Everything has a reddish tint. Yeak Laom lake outside Banlung. The region itself is very fertile, as indicated by its notoriously red dirt. Everything takes on a red tint during this time of year with the ever-present dust. Rubber plantations are everywhere. In fact, ignoring the developing country infrastructure, lack of power outside the main towns, and the long, dusty trip to get here through slash and burned fields and minority Khmer Loeu villages, you may be fooled into thinking that you’re in California and those carefully-planted rolling hills full of rubber trees are actually wine vineyards. Rolling hills in Eastern Cambodia. Kind of smoky out here. People burn trash and leaves everywhere. 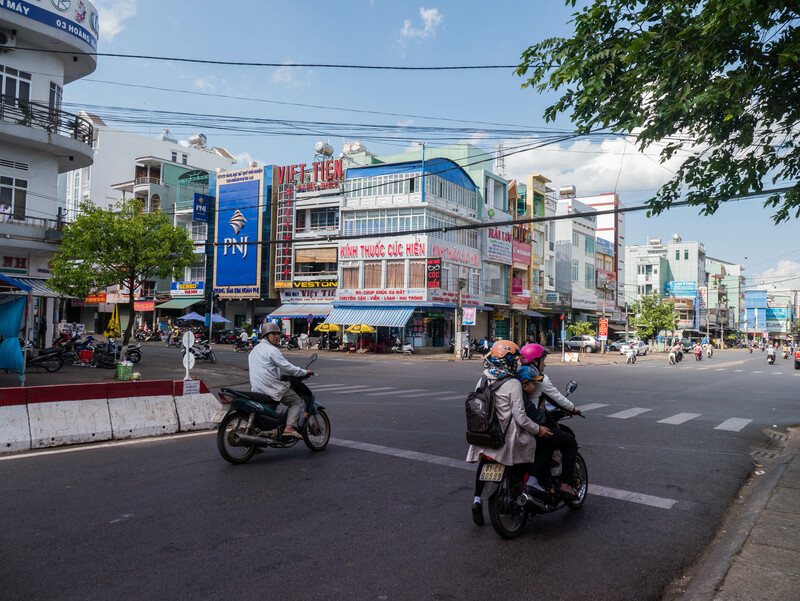 We were very ahead of the only schedule we have (couldn’t enter Vietnam until the 25th), so we spent a few days resting in Banlung, recovering from our blistering pace that we had cut through the flat and dusty North of the country. Sophie’s quality German-made Schwalbe tire blew out after just 1000 miles, but we had come prepared for this exact problem by carrying with us a pair of new ones. Unfortunately, I had failed to realize that all 26 inch circumference tires are not all compatible with each other. Confusingly, “26 inch circumference by 1.75 inch width” tires actually have 31mm different circumference than “26 inch circumference by 1 3/4 inch width” tires. Mathematically identical, but frustratingly different. So we spent one day in Banlung searching out the right tire and cursing the Italian and French bike racing companies originally responsible for this confusing problem. Apparently, competition for a weight and friction advantage in bike racing got so intense in the 20th century that companies started mis-labeling their tires in order to attract racers to their products. Some of this mislabeling persists on more antiquated rims and tires. Long, long story short, Sophie’s now on a $5, not quite round, mass produced, heavy rubber tire and the $30 lightweight Schwalbe replacements with a kevlar lining are still attached to the back of my bike. Busy, busy Banlung. These pictures were taken on an evening right before a rainstorm. The mood was a little hectic, with everyone getting ready for the downpour. Into Banlung we crossed 1000 miles for this trip and I crossed about 3000 miles total between my two trips. This essentially brings to a close our second leg of the trip. Cambodia has been difficult at times, but it is truly a fascinating place to ride through at this point in time. 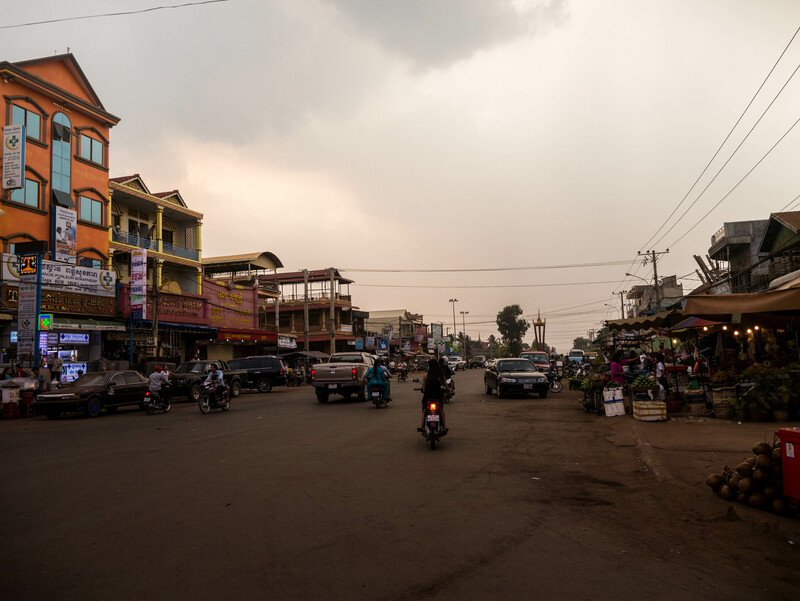 With more and more roads being paved and more infrastructure being built every year, Ratanakiri is no longer as inaccessible as it was just five years ago. We still get gawked at all the time, and groups of kids still scream hello (often sprinting from their house to the road and throwing all of their momentum and strength into a single boisterous greeting) at us as we ride, but every once in awhile we’ll come across other westerners who have managed to make it out here even in this miserably hot month. It has been a little draining, and I have a feeling that this part of the trip would have been a very lonely time by myself. Having Sophie along for this leg to share in the experience has been fun. Big huge casino right next to the border. Ignore the row of shacks next door. Such is Cambodia. 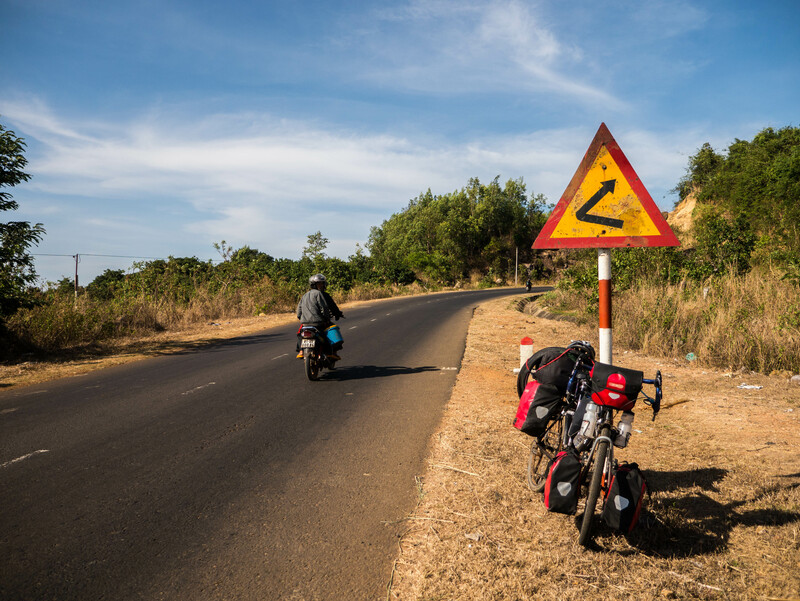 Out of Ratanakiri, we crossed the remote border between Oyadav, Cambodia and Letanh, Vietnam. After being in the most rural part of Cambodia for a few weeks, the change between these two countries hit like a bag of bricks. New language, new level of infrastructure, and most importantly no more coolers of cold drinks outside of every house. Two days into Vietnam, and we are already a little tired of the more in your face-ness and general noisiness of the country. Truck horns seem louder and more obnoxious here for some reason, and the general tone of people calling from the side of the road has changed. 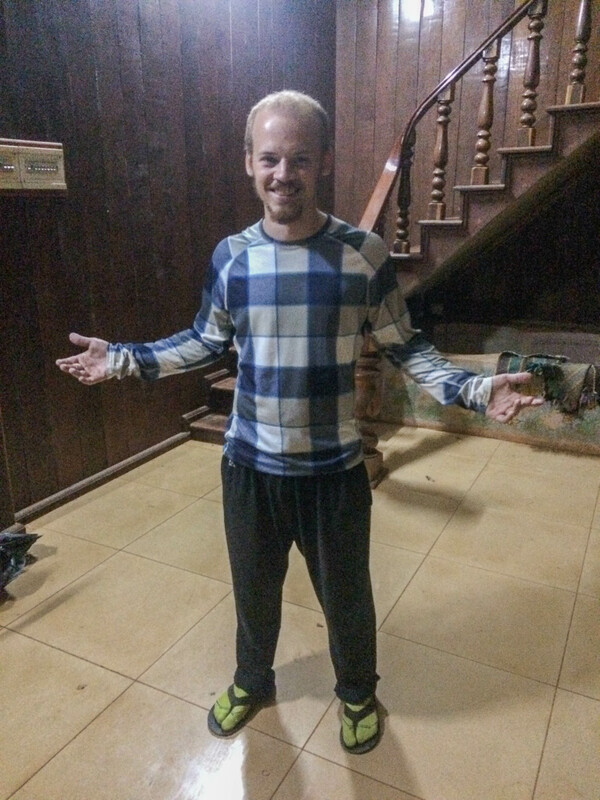 In Cambodia, it was more of a confused “What are you doing?” and in Vietnam it’s more of a “Look a westerner! Let’s follow them and see if they’ll do a trick!” 10-15km into Vietnam, I stopped for a rest and immediately had a crowd of onlookers taking pictures of me. Sometimes we’ll stop and a small kid will come within two feet of us and just stare. Never doing or saying anything. Just staring. In Ratanakiri, we were like aliens. In Vietnam, we’re celebrities. But it’s nice to know that whatever country we’re in, we can always count on teenagers being teenagers. Teenage boys divebomb us on motorbikes, yell at Sophie, and are generally obnoxious. Outside the town of Duc Co, two teenage girls stopped their motorbike to give me a handshake and a hi-five, and then got progressively more embarrassed and giggly when they couldn’t get their motorbike started again. Today was a tough day of riding into Pleiku. I had not been looking forward to this day, because both of us had spent the last month and a half getting lulled into a sense of security with endless flat-as-a-pancake days. Today, we faced a 35km climb to the highlands of Vietnam, with almost 1000m of total climbing and (we later discovered) a near constant headwind. We’re finally at altitude, which makes the temperatures a crucial few degrees cooler, but we’re both exhausted from probably the toughest day on this trip since southern Thailand. 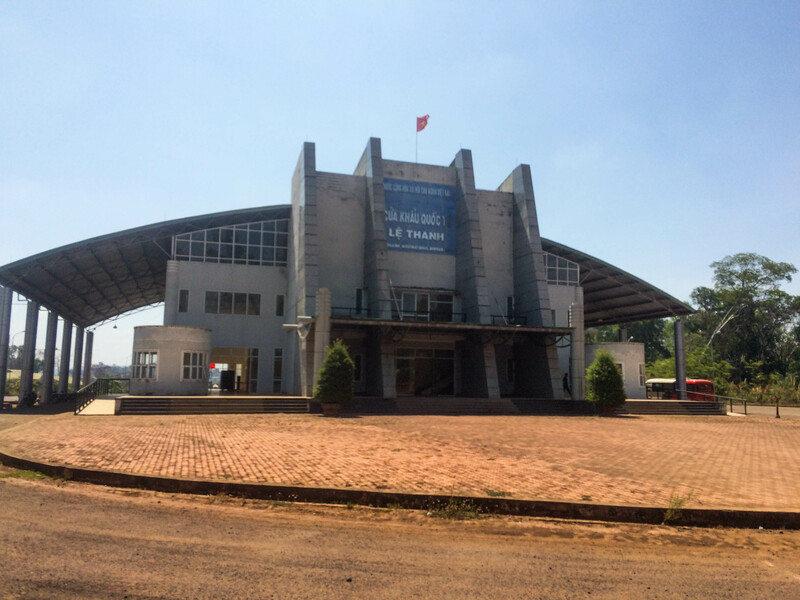 Pleiku. Apparently this is supposed to be a really “depressing” city. However, at 170,000 people, it’s the biggest city we’ve been in since Siem Reap and is a little overwhelming. 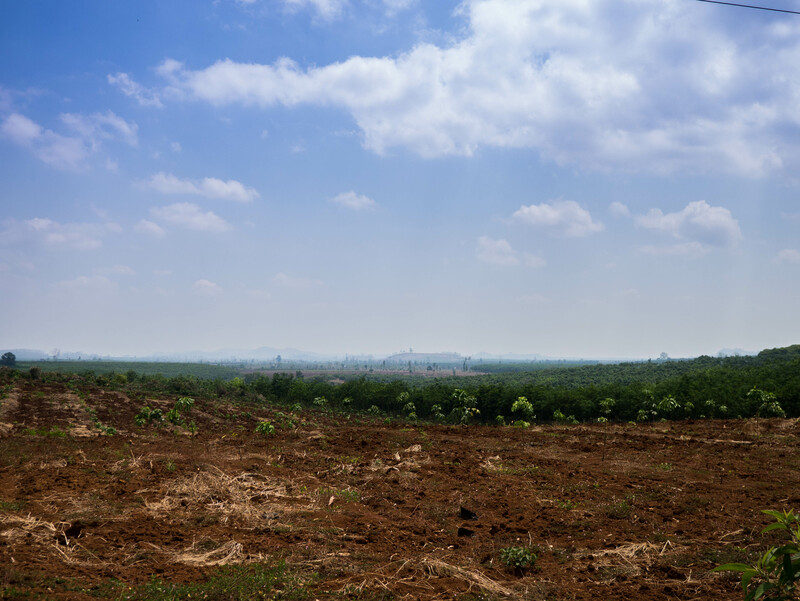 From here, we turn north along the Ho Chi Minh Highway, and into what promises to be some fantastic scenery.